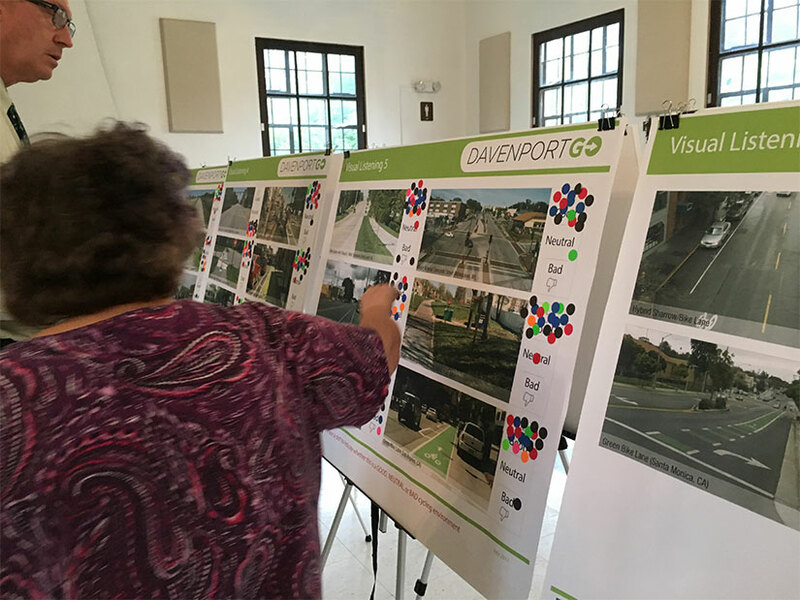 Over the last year, the Steering Committee for the DavenportGo: A Multi-modal Enhancement Plan has been revising a plan for improving mobility options for the community, which can be phased in over time. The plan has been available online since May 2018, and has since been updated to reflect the latest opportunities in Davenport. Now that the plan is complete, we invite you to download your copy and direct any questions or comments to Zach Peterson (zpeterson@ci.davenport.ia.us) at the City of Davenport. 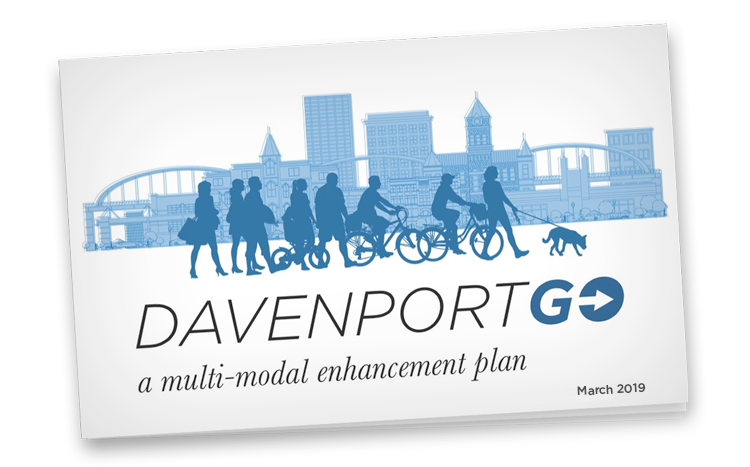 The Steering Committee for the DavenportGo: A Multi-modal Enhancement Plan is pleased to present its first draft. 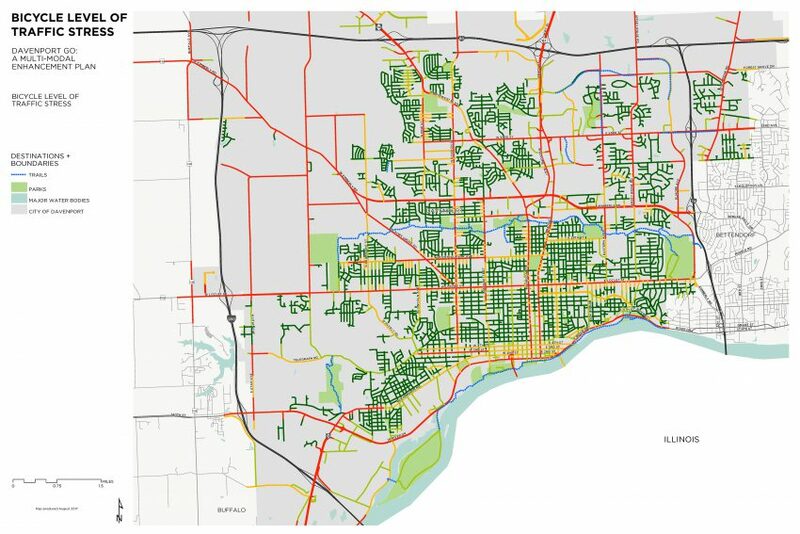 Over the last year, the city has been developing a plan for improving mobility options for the community, which can be phased in over time. 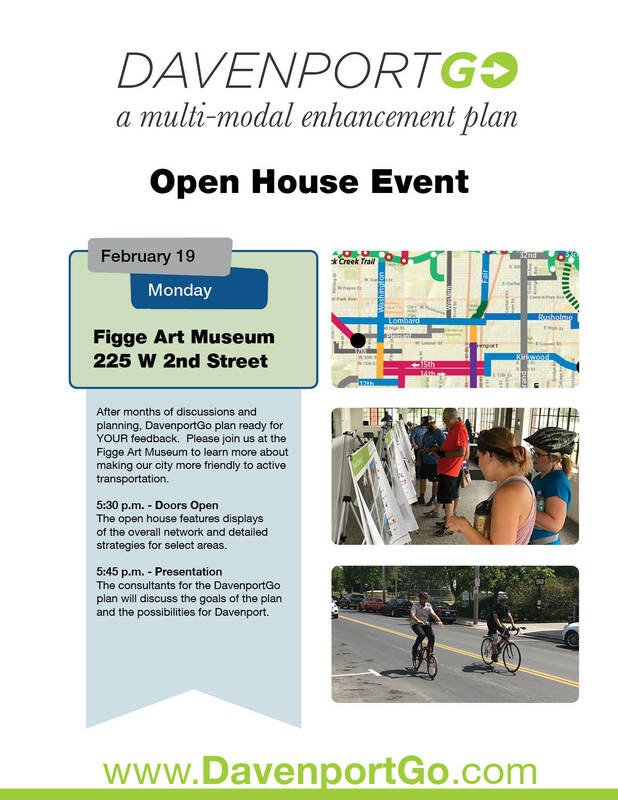 A public open house was held on February 19th at the Figge Museum, and the City Council reviewed the concepts on March 6th. Now that the draft is complete, we need to hear more from you! Download your copy today. If you have any questions or additional comments, please submit them to Zach Peterson (zpeterson@ci.davenport.ia.us) at the City of Davenport. Did you miss the open house or want to take a closer look at the boards? Here's your chance to see the recommendations. Download a copy of the displays. What do you think? We want to hear from you. Please e-mail your comments to Zach Peterson (Davenport Public Works) at zpeterson@ci.davenport.ia.us. Print a copy of the poster to share with others! 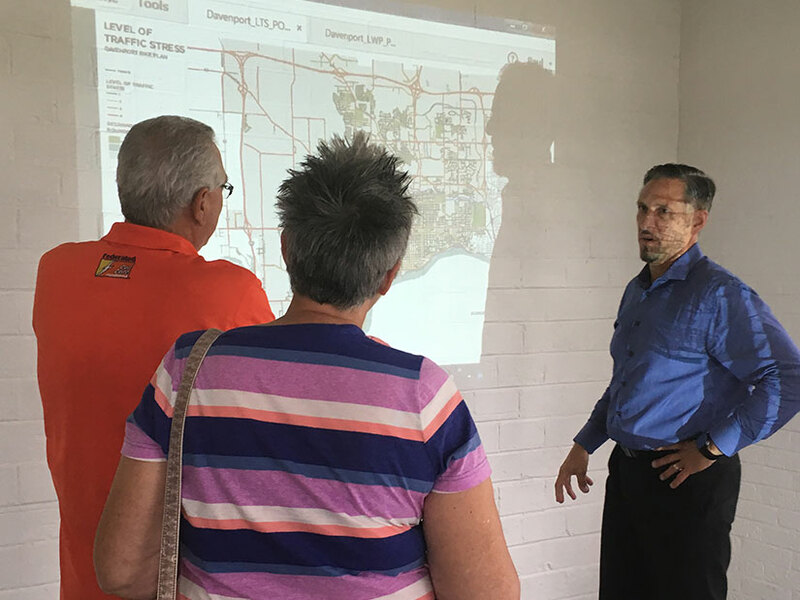 The Steering Committee met on December 11th to review the refined system map and dive into the elements of the design for each route. 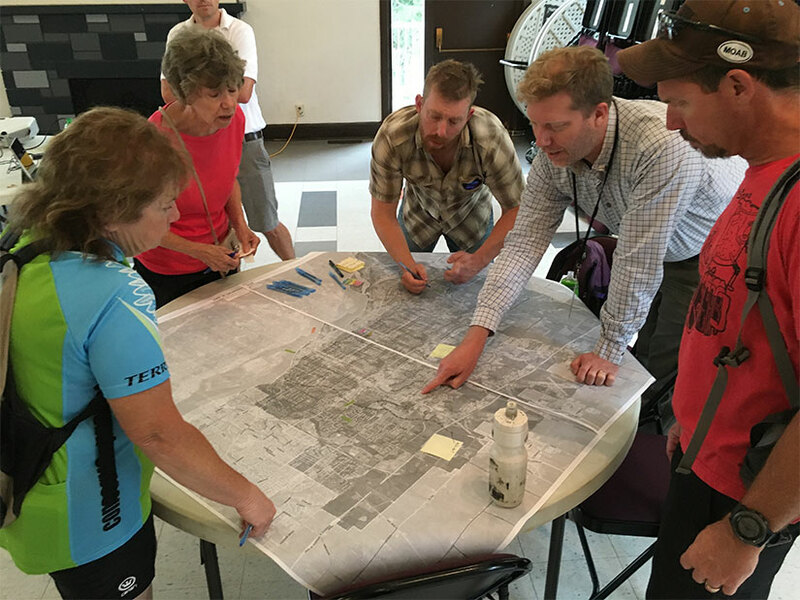 These elements include wayfinding, bicycle lanes, safer crossings, trails, and more. 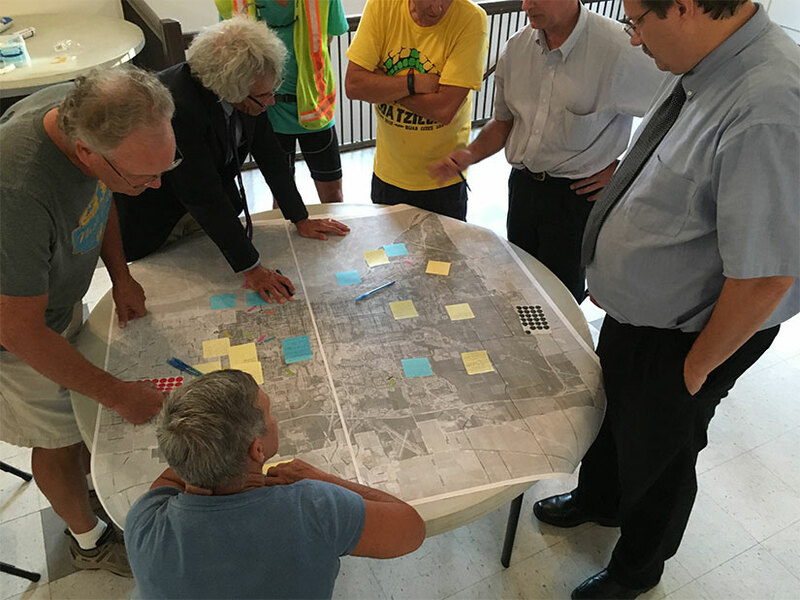 The project is on schedule and the committee is targeting a public open house in January or February. After several months of fieldwork and discussions, a concept of the overall system is complete. We want to hear from you. Share your thoughts with us. E-mail Zach Peterson (zpeterson@ci.davenport.ia.us) at City Hall. 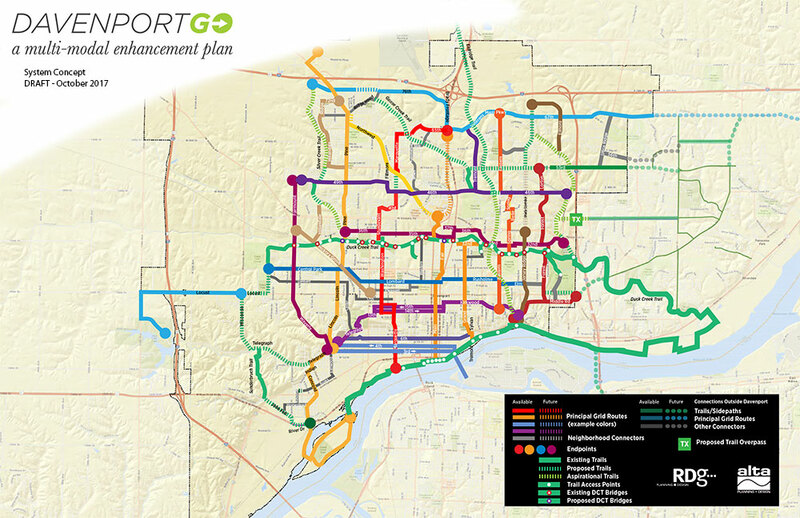 The consultant team is working on the details for each corridor through the end of November. This task gets into the details of the specific facility type for each segment of the system. The Steering Committee met on September 19th to review the initial system-wide concept. 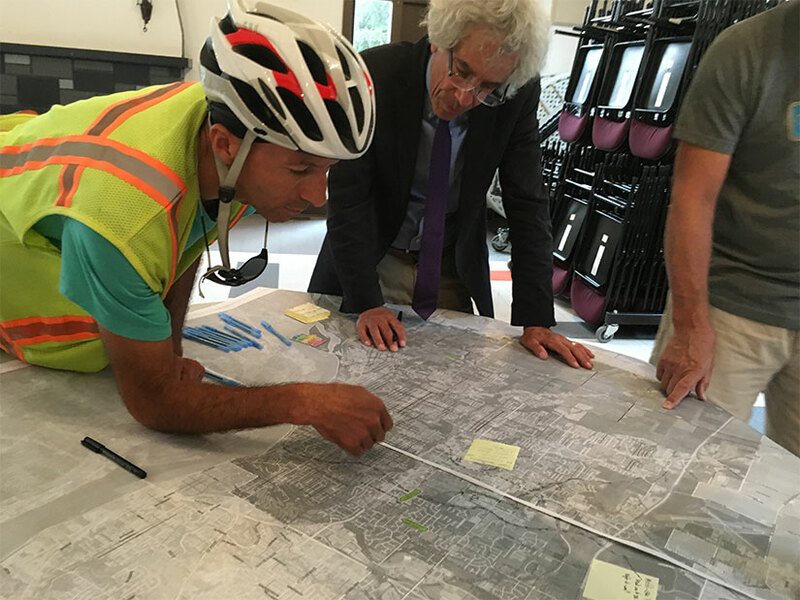 After initial feedback from the committee, the project team will refine the routes and continue their review with the committee through the end of October. Thank you! Thank you to everyone who attended the Design Studio on August 14th and 15th! Many thanks to Zach Peterson at City Hall for setting up the work spaces and publicizing the event. The event had a great turnout of people who shared their ideas and concerns moving forward. What’s next? 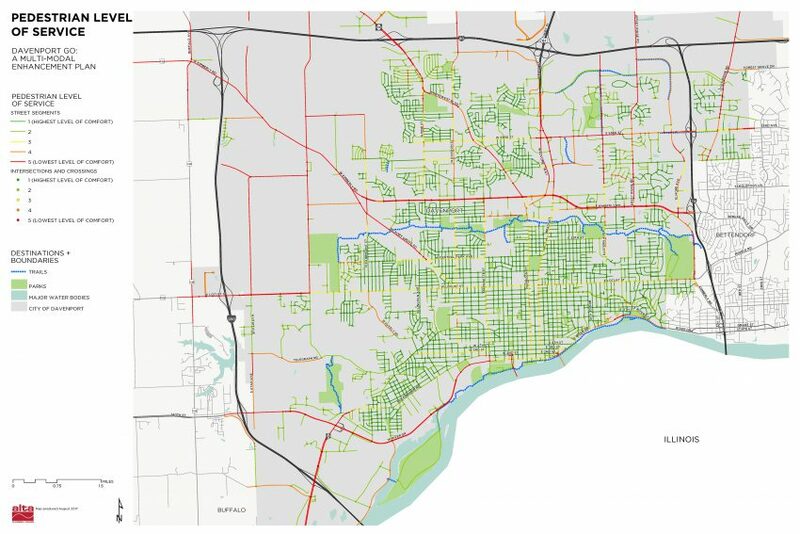 The consultant team will be processing everyone’s input and developing a network system for bicyclists and pedestrians. Initial results will emerge in September/October and discussed with the steering committee. 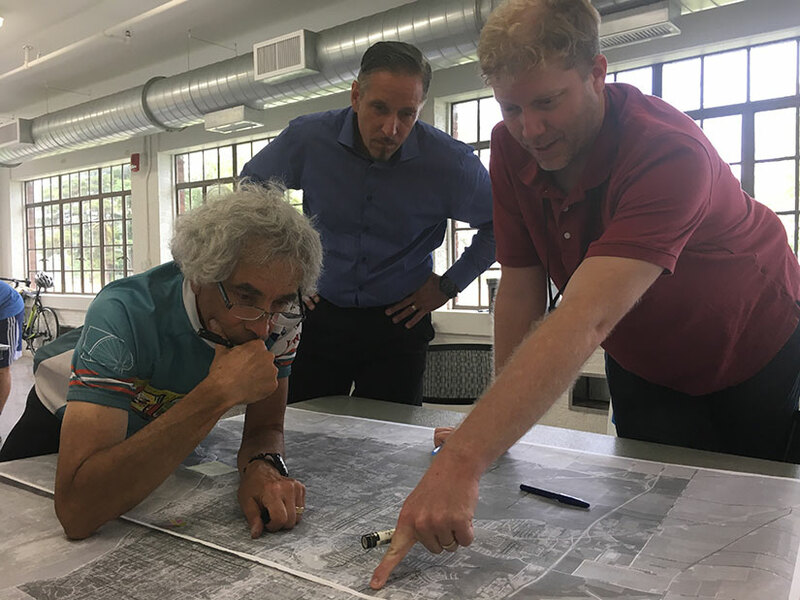 RDG Planning & Design and Alta Planning + Design met with the City Council on August 15th to share the process for DavenportGo and update the city council on its progress. Information presented at the work session was shared in more detail during the public design studios.